taking your coffee to the next level! Today I’m going to be sharing with you a superfood coffee. It’s actually inspired by this raw food restaurant we ate at this past weekend (we were in the Tampa area), that had amazing “specialty” coffees, but without the bagilion added calories and whipped creams which you would normally take that term for. And FYI: The coffee tastes absolutely delicious with these add-ins. For one, the Brain Octane oil is flavorless (I actually even add it to my tea sometimes), so you’re already down one ingredient that might alter your coffee in a way you wouldn’t want it to. But trust me when I say this is an alter you'll enjoy. You can also check out this video I made walking through a similar concoction. The main takeaway message though: drink coffee. Enjoy it. Make it good + serve your body in an awesome way! 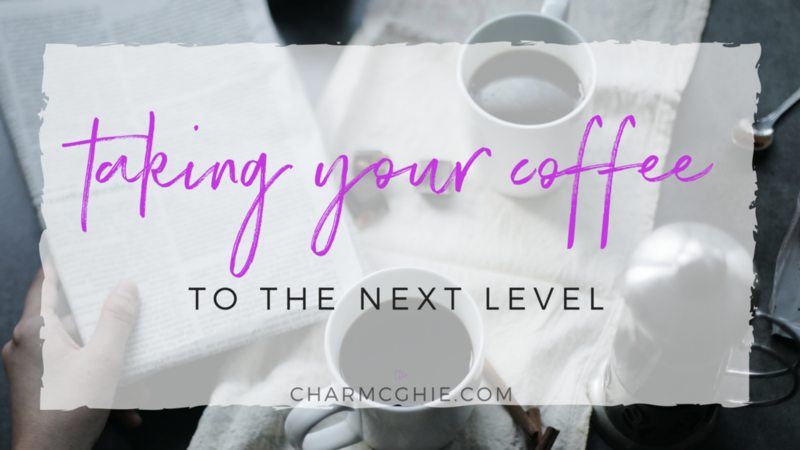 Want to learn more about adding essential oils to your coffee?! Let me show you how!